With $50,000 in grants from the Federal Land and Water Conservation Fund awarded to Meridian Township, Jane Greenway, parks and land management coordinator, said this money will help create new park projects as well as make sure to maintain what is already in place. Harris Nature Center will be the site for the new “Waterless Bathroom.” A project that came to rise out of the grant money. 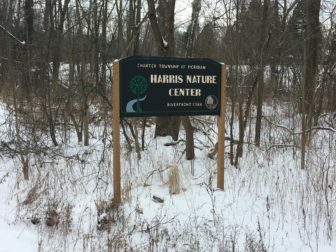 Greenway, who is a landscape architect, said the main project to be installed is a new waterless bathroom that will be built at the Harris Nature Center in Okemos. Greenway said the grant funding application process is very similar to the college application process, and each application is graded on a specific point scale. Points can be awarded for environmentally friendly design standards as well as crime and safety regulations within a township. According to Greenway, any area that is government regulated can apply for grants. Applications must be sent in by April each year. After the applications have been sent in, they are reviewed by the Michigan Department of Natural Resources and then sent to the Michigan Natural Resources Trust Fund Board. In December, recipients of the grants are notified. Michigan State University junior Eric Behan has lived in Okemos his whole life and said he feels good that the grant money is going towards bettering the environment, and believes the community should be educated about keeping the world around us healthy. Behan has very fond memories of when he had his 7th birthday party at the Harris Nature Center. Greenway claimed one way Meridian tries to educate people about nature is through field trips with the local elementary schools. Okemos native Atticus Bohr, who has lived in Meridian Township for the last 18 years, remembers when his elementary school class took a field trip to the Nature Center. Behan said he loves the community where he grew up, and believes being awarded the grants proves why Meridian is such a great place to live. Bohr said he has a lot of memories playing at parks with his friends and family when he was younger. Bohr said he is proud his hometown was selected as a grant recipient. According to Greenway, Meridian Township likes to put on plenty of activities for the community to come and gather together. One of the biggest events the Township hosts is “Celebrate Meridian.” A get together at the end of June into the beginning of July where the entire community comes for live music, food trucks and plenty of nature exhibits. Greenway said most people in the township do not realize how fortunate they are, due to the nearly 2,000 acres of park reserves and recreations.